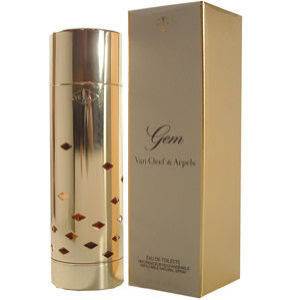 I bought a bottle of Gem by Van Cleef & Arpels when it came out in 1987. It was great stuff, a charming fruity-chypre with floral undertones and a rather oriental base, and it's a shame that it's nearly impossible to find any more. Today I got a vial of Gem in the mail, and I am quite sure it was never reformulated before it was discontinued: the sample smells just as I remember it. 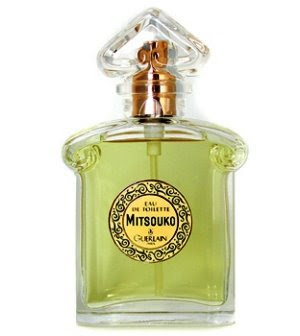 I wanted it for two reasons: because I wanted to re-experience it, of course, but also because I needed to compare it to another classic chypre, Guerlain's Mitsouko, which was launched almost 70 years earlier, in 1919. 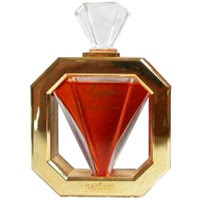 I'd never even smelled Mitsouko until a couple of years ago, but as soon as I did, I realized Gem was a sort of variant of it; but more on that later. People with experience of the old formulation are not fond of the remake(s), and I understand this perfectly: I know a number of reformulated scents that are nothing like what they used to be, not least Tresor and Fahrenheit. But this Mitsouko, even if it's a bastardization and a shell of its former self, is what I own, so that's what I'm going to be talking about. Mitsouko has a savagery to it; it sinks its talons into you and doesn't let go. If a cat could make a perfume, it would smell like another cat, or a mouse: but if a cat could make a perfume for a human being, it would smell like Mitsouko. It claws its way out of the bottle and thrusts itself at you all at once: there are floral notes, citrus, peach, and the classic chypre notes of moss, vetiver, and patchouli (and a lot of those last three). Yet despite this all-out assault, it has an inscrutability at the core of it, a secret shrouded heart that does not reveal itself easily. Mitsouko wraps you in a golden glow, but it has another glow, a dark ember with a slow burn, something that could burst into flames without warning. The middle has a prickly quality, the vetiver, I think, which the warmer elements try and fail to conceal. The overall effect is of something dangerous that could happen at any moment--a marvelous thing for a scent to elicit, the smell of peril. 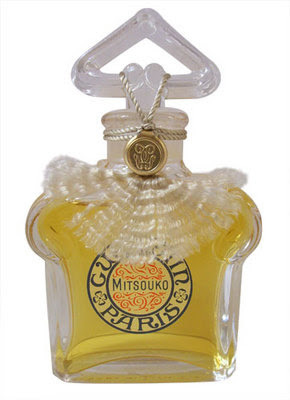 If gender classifications matter to you, you'll note that both Mitsouko and Gem were sold as women's fragrances. But men have been wearing Mitsouko since its inception: Charlie Chaplin loved it, as did Russian ballet impresario Diaghilev, and Jean Harlow's husband poured a bottle of it over himself before committing suicide. Whatever Mitsouko may have been in the past, his newest incarnation has so much force behind it that it wouldn't surprise you at all to smell it on a man. Gem, I think, would be harder for a lot of men to wear: the violence is entirely gone, and the composition is soft, rounded, a little sweet, and absolutely pleasant from top to bottom. I still think a man could wear Gem, of course, if he could find it, and be very happy in it, because it isn't sugary or flowery or perfumey. It's a chypre for people who don't like chypres. Great to see this review of Gem. I found a refill bottle in a shop here months ago and loved it instantly. I wore it this last weekend after rotating my cabinet. I don't know why it ended up in back, forgotten for a while. I know that I avoided buying it the first time I smelled it, worried it was a little too too feminine. Yet when I smelled it again this time it didn't strike me that way. Its burnished fruitiness is truly great, and recalls or references all sorts of chypres down the continuum. I'd never thought to compare it to Mitsouko but you're right and I see the similarities. It's much more mellow. Has a little more stealth than Mitsouko's good time guile. I'm really glad you liked it! To most people's noses it certainly would fall closer to a women's scent than a men's scent on the usual continuum, but the last twenty years of perfumery have done a lot to break down the hard-and-fast division between a masculine and a feminine scent. Just look at all those fruit-laden but emphatically unisex Serge Lutens scents. And as you said, Gem references a long history of chypres (Mitsouko and Femme, obviously), and for that alone it's worth trying. Plus, it's just gorgeously made. Yet another sad victim of discontinuation. I loved your review of Gueralain's Mitsouko. I read what you wrote about the perfume "gem", actually I have a total new botlle of the perfume (still in it´s original pack).